Hello hello ! Are you back to school ? Back to work ? Back to your “september is almost here” routine ? Well, they say, september is the Monday of the year! Which is true, and right now, most of you are either back to work/school or preparing the kids for early morning alarm ! 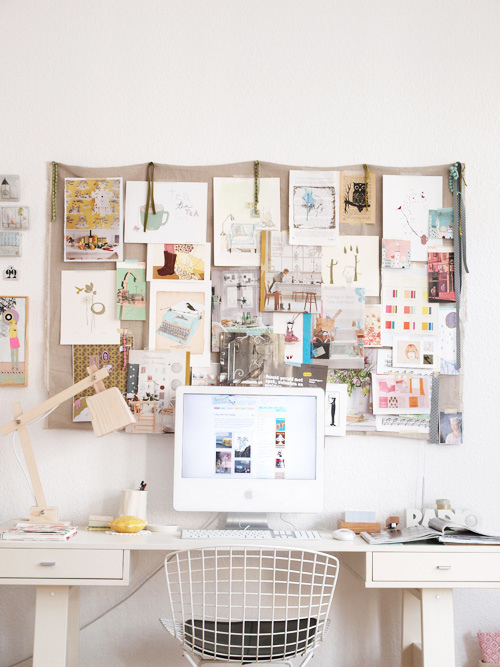 Since I believe that organization is the key to successful work (but you could be a hard worker in a mess it’s fine), I concocted for you on this post 4 organizational ideas for your office or your work space. 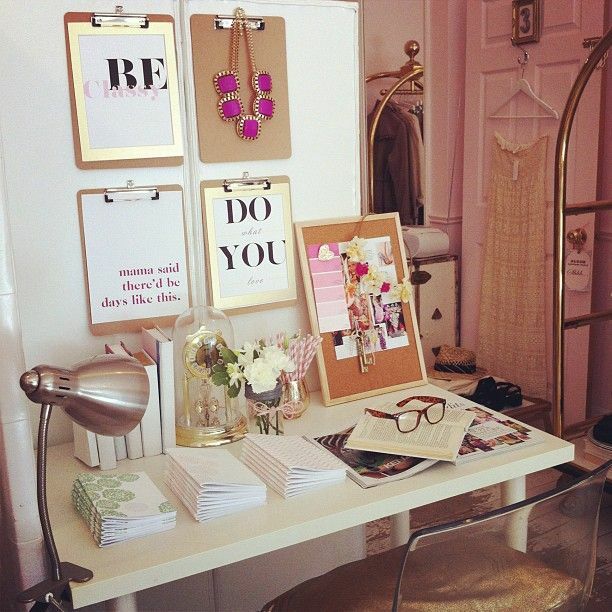 Some I love myself and have in my office that really help me get things done when needed ! And don’t be intimitated, some things can be DIYed so go for it ! 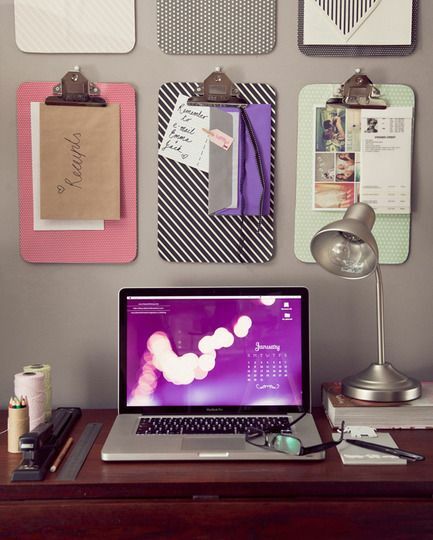 They can be inspiration boards or made for organization. You can print pictures that inspire you, maybe that have to do with the season, the work that you do or a celebrity/well known person in your field that inspires you a lot. 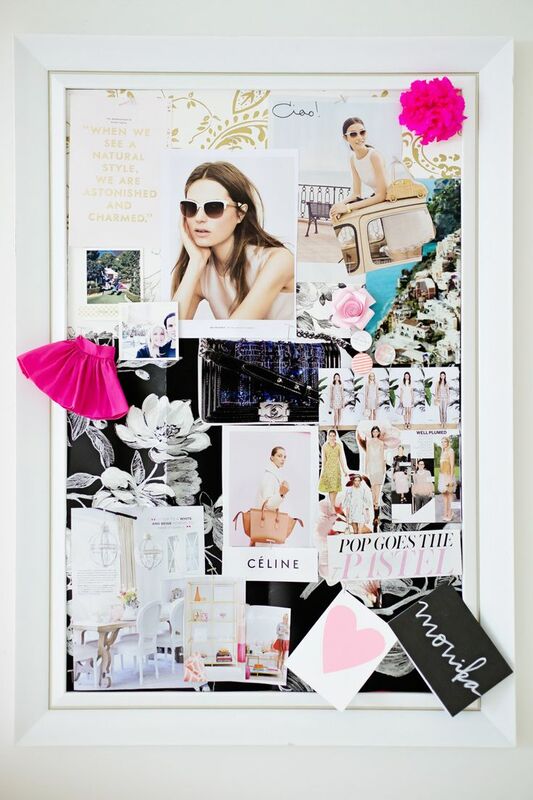 These inspiration boards are totally you. Since you know what pushes you to work harder, you can custom make these the way that inspires you. And a to-do list part can help you organize your days better and be more efficient. This one is a really cute one and I think is more creative which I love. 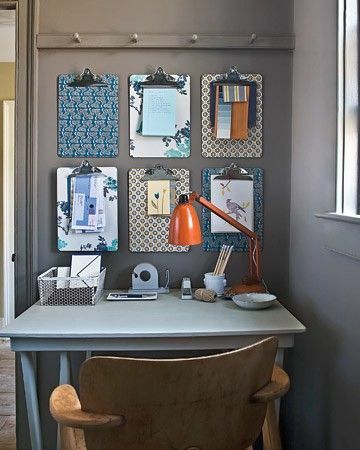 If boards are not your thing or maybe you want to section your inspiration boards, this one is a really good trick. You obviously can custom make them like the picture above and put inspirational quotes on them, things that motivate you and even hang your favourite statement necklace ! These ones (above) have patterns on them which you can mix and match and have fun with it ! 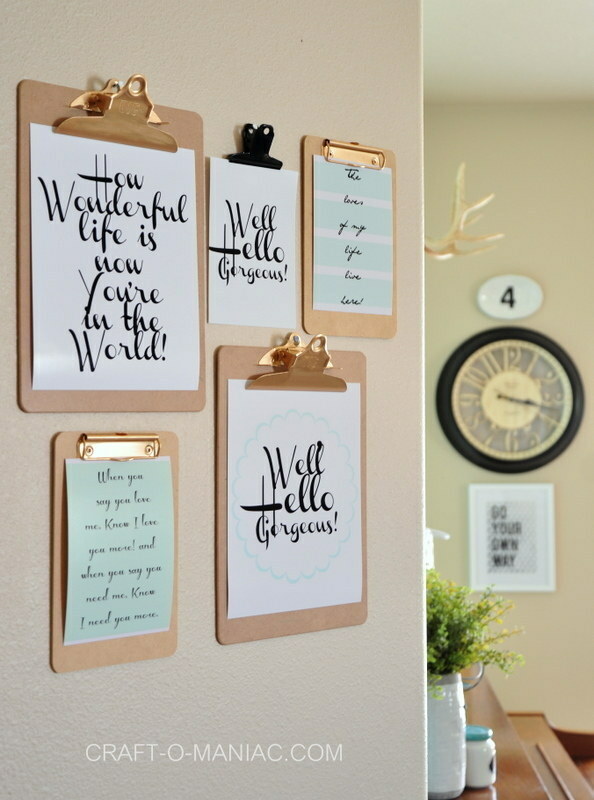 Since they are shaped like portraits, you can even have different shapes of them and have a gallery wall type of thing AND use it for inspiration and to-do lists ! Shelves can be right above your actual office, they take up a level some of your stuff that have been put on your desk and in that way, give you much more space to work with instead of having pencils everywhere, now they can just be up a level, watching you (well that would be creepy). 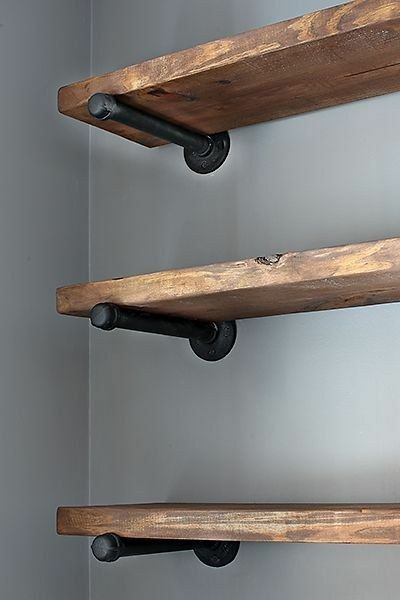 You know me and that rustic vibe, these ones are perfect and easy to DIY in my opinion! 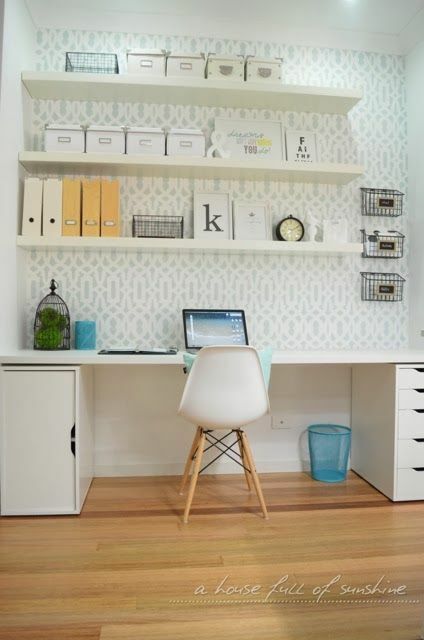 See, this office would’ve been too cluttered if it wasn’t for those shelves! I saved the more fun for last! Because let’s be honest, this wall can be so much fun ! 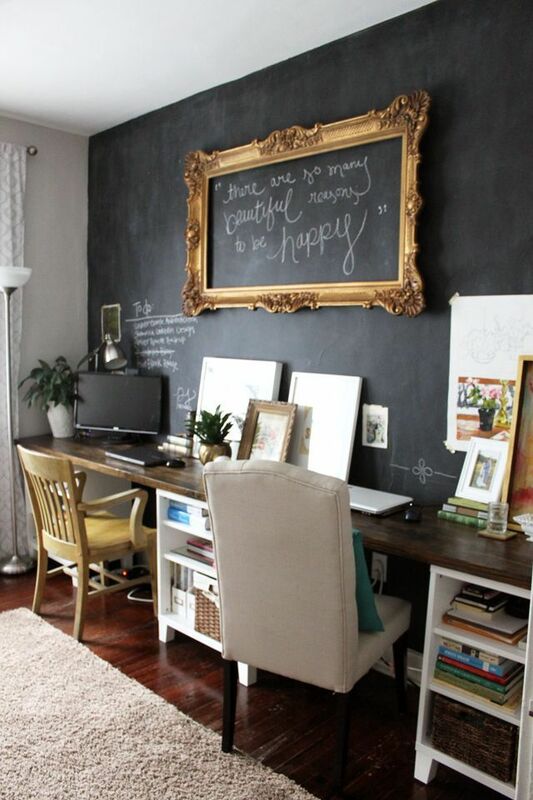 Chalkboard wall (which can easily be made, chalkboard paint exists ladies and gents), is amazing for daily to-do lists, little inspiration drawings and the kids can doodle a little bit here and there and nobody is harmed in the process and no mommy is furious with a messy wall at the end ! What do you think of these ideas ? Did any of them appeal to you ? 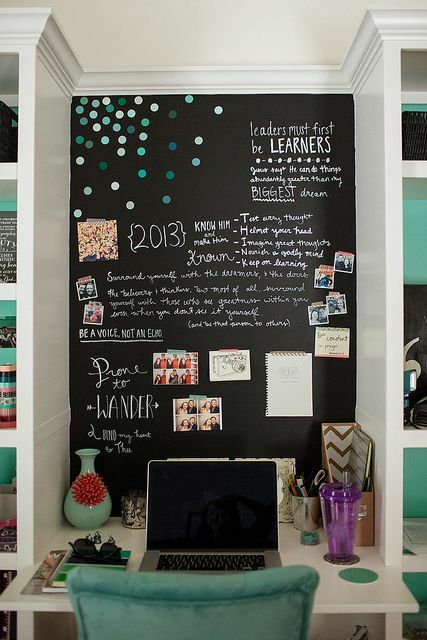 I think my favorite is a tie between the clipboard art gallery and the chalkboard wall. What about you ? Let me know in the comments down below! Don’t forget to like my facebook page and make sure you’re subscribe to my Youtube Channel, some DIY projects may pop up here and there so keep an eye on it ! I hope you feel as inspired as I do. •Tagged art, back to school, blog, blogger, blogging, boards, chalkboard wall, clipboards, gallery, inspiration, office, office space, organization, rustic, shleves, tips, tricks, vibes, wall, work•Leave a Comment on 4 tips and tricks to stay organized this year ! 2 design ideas for your daily beach vibes !